Observation - Wnged Insect - UK and Ireland. 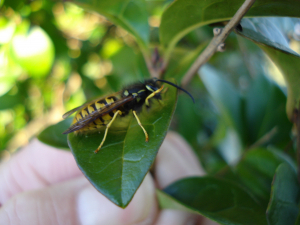 Description: Yellow and black striped body. Light coloured legs.Thick antenna. Yellow and black striped body. Light coloured legs.Thick antenna.